On this page, you'll see many of the herbs and plants the Romans used in their medicines and healing. Yes, there are a couple of articles used, then modified with art to show what is being talked about. Also, in some cases more info was found and added to better explain things. Look for this section of Romans in Britain to become more coherant and just a better place to find information on Roman medical matters. 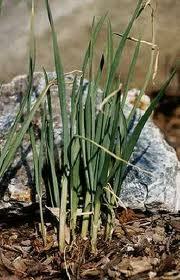 Garlic (Allium Sativum) — Galen wrote of Garlic as a cure-all. 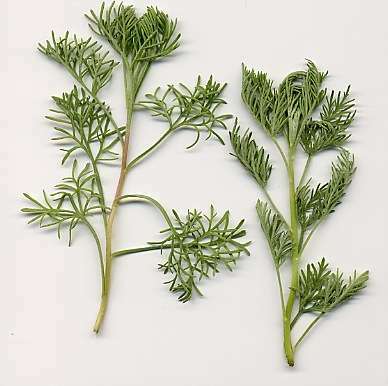 This herb is antibacterial, antiviral, antiparisitic and antifungal. Marshmallow (Althea officinallis) — Marshmallow pollen has been found at Bearsden Fort. 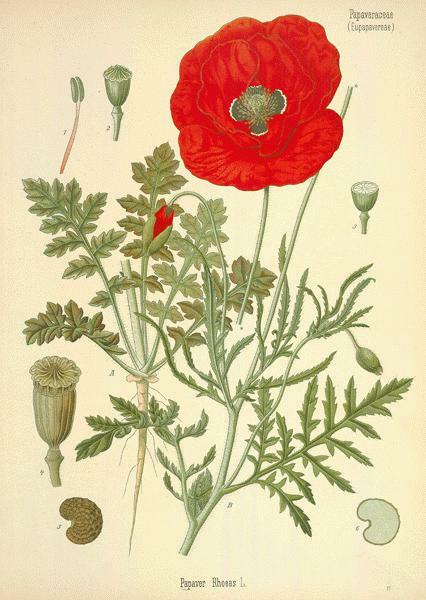 Pliny suggested this herb can be used as an ointment or a cough syrup. Marsh mallow's medicinal use dates back 2,000 years. Arabian doctors created a poultice from the leaves to treat inflammation. The father of medicine, Hippocrates, used marsh mallow to remedy bruises and blood loss. Dioscorides wrote about the beneficial properties of marsh mallow, while Horace praised the laxative properties of the leaves and roots. Roman doctors used marsh mallow for toothaches, insect bites, chilblains, and irritated skin. The Chinese, Egyptians, and Romans ate a variety of marsh mallow for food. 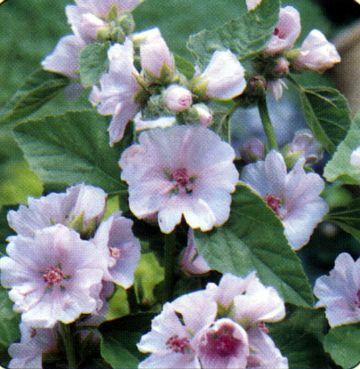 In the ancient times, Althaea officinalis was used for soothing coughs and colds along with irritated skin. This slimy plant was also eaten by the Romans and Egyptians as a vegetable on a daily basis. Most of the mallows have been used as food, and are mentioned by early classic writers with this connection. 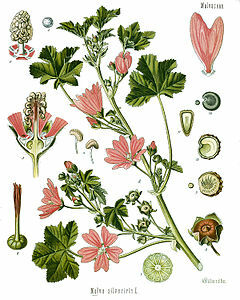 Mallow was an edible vegetable among the Romans; a dish of marsh mallow was one of their delicacies. Also, the poor in Syria ate this plant to prevent starvation. Even in the bible marshmallow is mentioned as a plant used for food during times of famine.Marshmallow pollen has been found at Bearsden Fort. 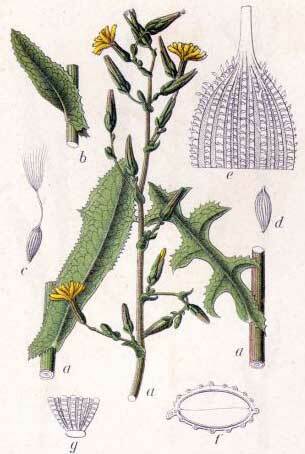 Pliny suggested this herb can be used as an ointment or a cough syrup. (Alcock). 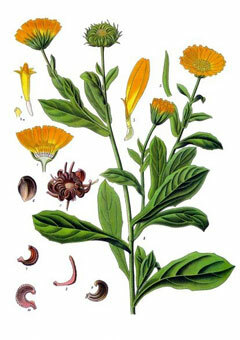 Calendula (calendula officinalis aka Marigold) — Used as a fever reducer, marigold was grown in southern Europe. From the Roman word “calendae” meaning the first day of the month. The name is said to refer to the fact that the plant flowers throughout several months. Good for skin rashes. It was widely used as a cheap substitute for saffron which in those times was extremely expensive. 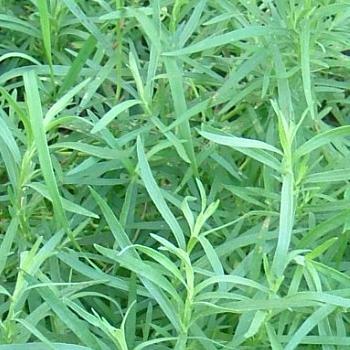 Taragon (Artemisia dracunculus) — Pliny suggested tarragon as a way to prevent fatigue from physical exertion. The Roman soldiers were well acquainted with long marches. Perhaps some used tarragon to invigorate themselves. Borrage (Borago officinalis L) — High in calcium and potassium, Borage leaves can be used to treat inflammation and bruises. 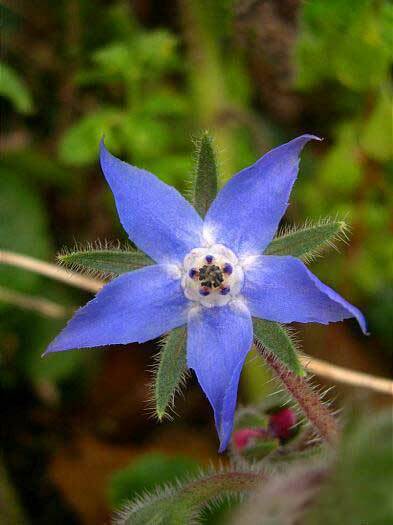 Roman-era Borage has been found in the South Downs of England. Some believe the name may stem from the latin word “borus” which was a rough/hairy woolen cloak worn by Roman shepherds. It was used to lower temperatures and fever caused by colds or bronchitis. Also used for rheumatisms. The Greek medic Dioscorides remarks on its use against depression and for its relaxing properties. The Romans used it particularly as a flavouring in foods and drinks, and they brought it to England where it is still widely appreciated. Hyssop (Hyssopus officinalis) — Pliny of the first century AD describes wine made from this plant, this may have been an influence for the later Benedictine monks who brought the herb to central europe to flavour their liqueur. 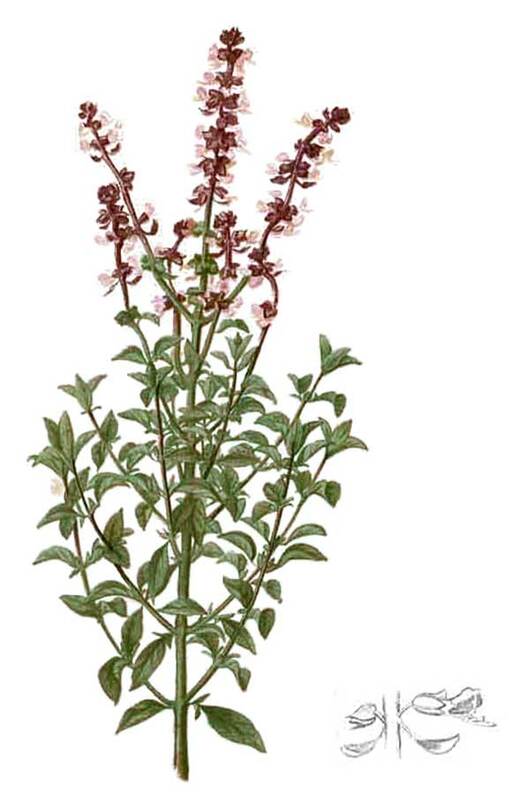 During the empire the use of Hyssop was known for its cleansing action and it was regarded as a remedy for lepers. 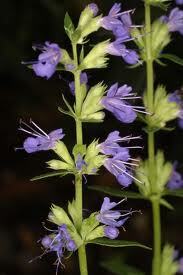 Hyssop was considered protection against the plague (McIntyre). Although it would not protect the user from deadly disease, volatile oils found in Hyssop are useful at treating the coughing associated with colds and the flu. (Castleman). Parsley (Petroselinum Crispum) — Many herb books state that gladiators ate this herb before a fight to promote strength, cunning and agility. *Some add that the Roman soldiers did the same. However, I have yet to see any citation to confirm this story. Plantain (Plantago major, minor, lanceolata) — Wound healer, poison antidote and one of the most notarized herbs in history dating as far back as Alexander the Great, who used plantain to cure his headaches and Pedanius Dioscorides, who studied medicine in Egypt and was a physician in the Roman Army — he used plantain for its soothing, cooling, healing and softening properties. 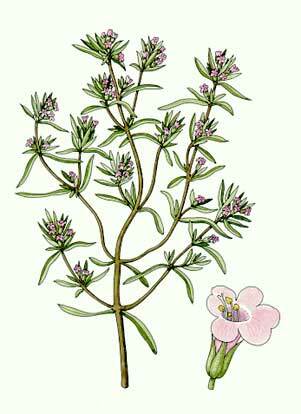 Thyme (Thymus vulgaris) — There was a belief in the Roman world that sleeping on thyme could cure melancholy. 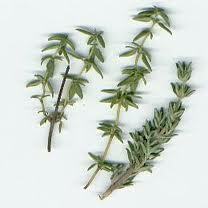 There are many confirmed health benefits to consuming thyme (it treats coughs and aids in digestion). Of course, sleeping on it could offer only a placebo type effect. 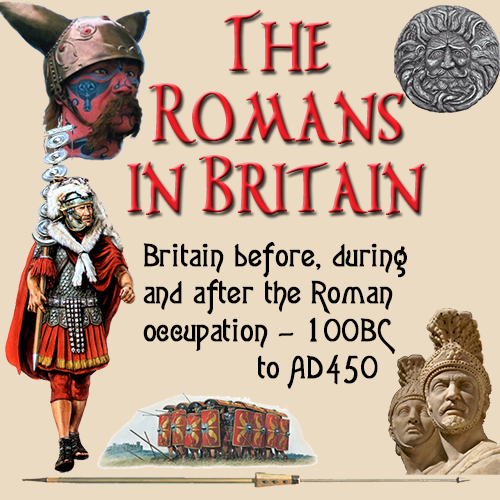 However, it is interesting to consider its uses... As with today’s soldiers, Roman troops deployed away from home for years on end could suffer from depression and while the Roman army was perhaps not very sympathetic to this problem, yet the treatment was known. Stinging Nettle (Urtica dioica) Some herb books include an intriguing story in the history of the herb. 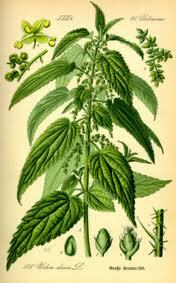 They often state that nettles were first brought to Britain by Julius Caesar’s invading army. The plant’s stinging needles were supposedly used by the Roman troops in cold climates to create a warming sensation on the skin. Although Pliny does mention nettles as a food source, there is no evidence to suggest legitimacy to any part of this story. Neither its use as a skin-warmer, nor its arrival in Britain are discussed in classic texts. The story was written by an English scholar of Elizabethan times, William Camden, and is apparently purely conjectural. Wine was a frequent component of ancient Roman medicine: As is well known nowadays, alcohol is a good means of extracting the active elements from medicinal plants. Wine was the only form of alcohol known to the Romans as distillation wasn’t discovered until the Middle Ages. Herbs infused in wine was a regular medicinal stratagem which would have a degree of effect given the alcohol’s ability to extract the active compounds of a number of herbs. The “only” issue would be whether the infused herbs are the right ones for the particular ailment. Whether or not Lemon Plant’s powers extend that far is questionable, perhaps it depends on the manner of preparation. "Rose (or violet) Wine-Rosatum: Rose petals, the lower white part removed, are sewn into a linen bag and immersed in wine for seven days. After which, add a bag of new petals which allow to draw for another seven days. Again remove the old petals and replace them with fresh ones for another week then strain the wine through the colander. Before serving, add honey sweetening to taste. Take care that only the best petals free from dew be used for soaking." Another interesting and curious mention of wine as a cure is made by Plutarch regarding Mark Anthony’s failed campaign against the Parthians: the soldiers stranded in the desert resorted to eating some local plants which drove them mad and then killed them. Wine, supposedly the only remedy against such a poisoning was not available to them. It is quite evident that the Romans used a great variety of medicinal plants. For example Melissa against insect bites and as a tea against melancholy. A few herbs used by the Romans are given below; apologies for the lack of order, rather like a garden. 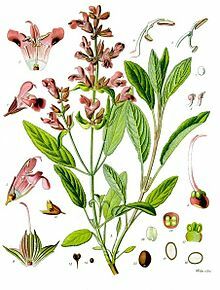 Sage (salvia officinalis) — The Roman name for the plant was Salvia coming from the word “salvare” or “ salus” meaning health. It was regarded as sacred and was gathered with pomp and ceremony after an offering of bread and wine and not to be cut with ferrous tools (which apart from anything would have been extremely expensive in those days). Laurel (laurus nobilis) — famously used to crown emperors and great men, the Laurel was dedicated to the god Apollo and the god of medicine Aesculapius. 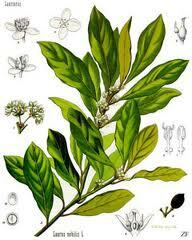 Laurel (bay leaf) is lightly narcotic and as such was closely associated with trances and oracles. Laurel garldands soon became an architectural element as the plant was believed to protect from disease, evil spells and lightning. It was also used as a remedy against the plague (remember that Aesculapius was brought over to Rome in the event of a plague). 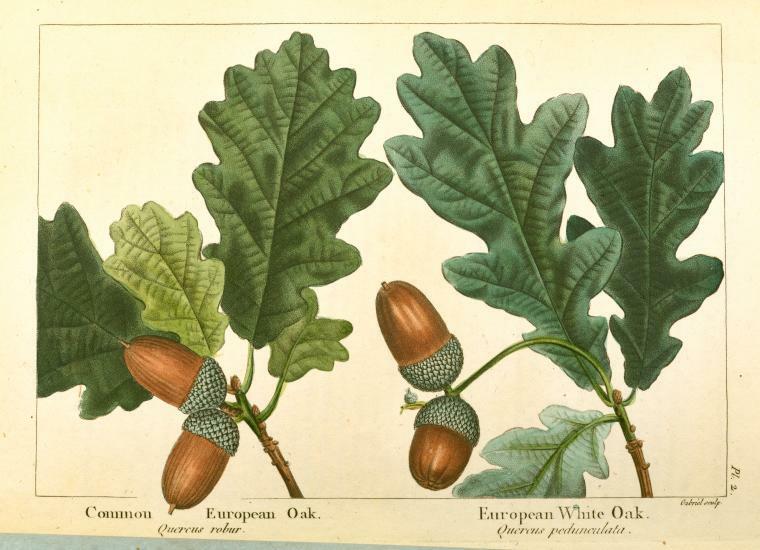 Oak (Quercus robur) — the bark, leaves and galls are powerful astringents. The high tannin content can also be used for tanning leather. A crushed leaf could be applied directly to wounds. 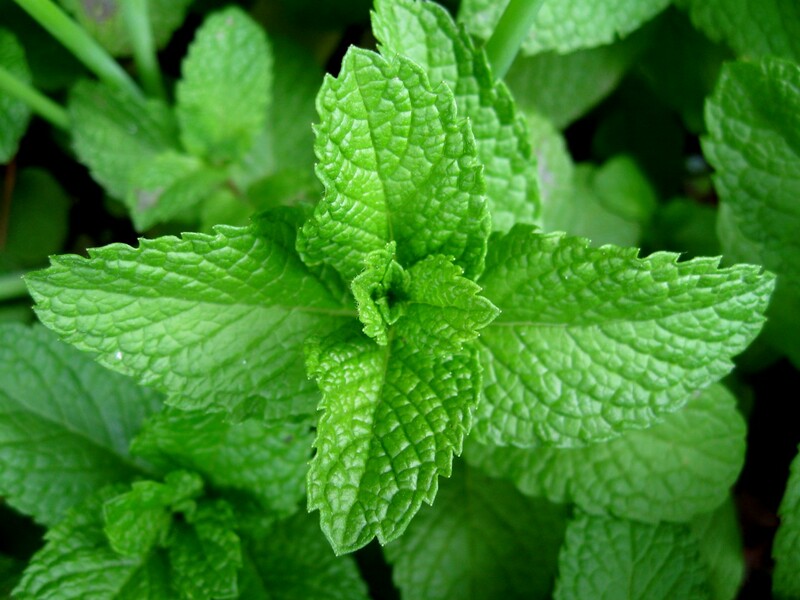 Mint (mentha spicata) — used to flavour wines and sauces. The poet Ovid mentions it as a symbol of hospitality. 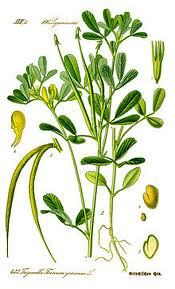 It was used as a diuretic and digestive as well as for coughs and colds. 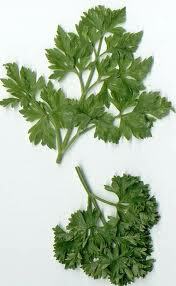 Parsley (petroselinum hortense) — the Greeks had a variety of uses, the Romans are believed to have been the first to use it as a food. Oregano (origanum vulgare) was a well known herb throughout the Roman world for its frangrance and antiseptic properties. Cinnamon (cinnamum zeylanicum) — a rare herb during Roman times it was highly prized, like pepper. It would be imported from India.Cinnamon is one of the oldest known spices, and in the Ancient World it was worth more than gold. Its medicinal properties are astounding. In Ancient Rome, cinnamon was useful in the treatment of inflammation, poisonous bites, and menstrual disorders. It was very helpful in treating the symptoms of the common cold or flu, as well as other respiratory infections. Cinnamon was also claimed to be an exceptional cough medicine. To fight infection, cinnamon was known for its antibacterial, antiseptic, and anti-fungal properties, and was often applied externally to wounds, and troublesome skin conditions. Cinnamon was also used in embalming procedures. Body cavities were filled with sweet smelling spices. 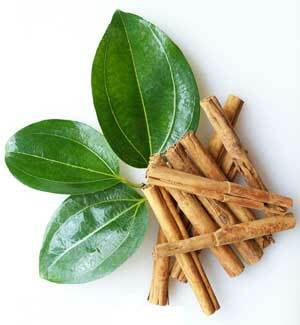 During childbirth, mothers were given cinnamon, as a sedative, to help with the pain and discomfort. It was commonly used for gastro-intestinal upsets, such as indigestion, nausea and diarrhea, and it was recognized as a good digestive aid. Many people today take cinnamon as a treatment for acid reflux. Cinnamon has stimulant properties, and was used to warm the body, and aid in circulation. 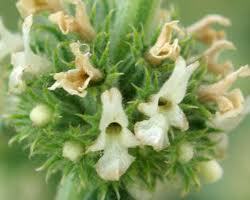 It was applied as an astringent, and as a parasitic treatment. It was also used in food preservation. Rosemary (ros marinus, meaning “sea dew”) — burnt for purification. 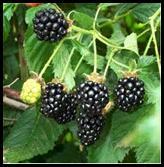 In fact its antiseptic properties meant it would be used to preserve foods. Usage of rosemary dates back to 500 b.c. 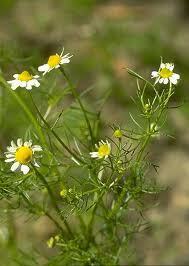 when it was used as a culinary and medicinal herb by the ancient Greeks and Romans. It is still a popular medicinal herb today. Pedanius Dioscorides (ca. 40 to ca. 90) Greek physician, pharmacologist and botanist practiced in Rome during the time of Nero. His most famous writing,the five volume "De Materia Medica" is one of the most influential herbal books in history. Dioscorides recommended rosemary for its "warming faculty". 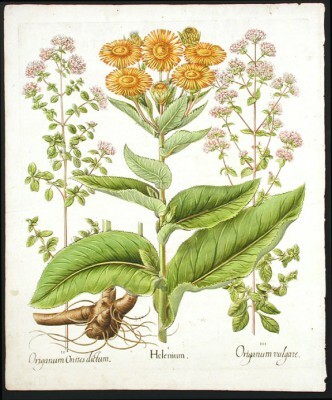 In addition to its importance in the history of herbal science, the "Materia Medica" also enlightens us about the herbs and remedies employed by the Greeks, Romans and other cultures of antiquity. 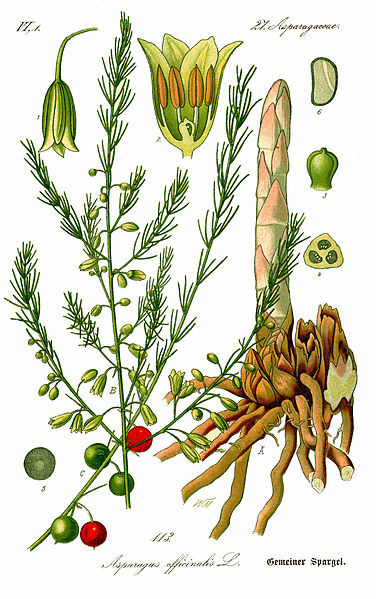 When mixed with curdled milk, beer, and honey, rosemary was considered by the ancients to be good for heart trouble. 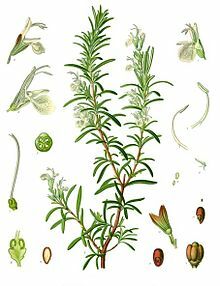 Ancient Greek students ate rosemary to improve their memory; students also wore rosemary garlands when studying for examinations. Hellenistic and Roman gardens almost always contained rosemary bushes. Moreover, rosemary was believed to grow only in the gardens of the righteous and protected one from evil spirits. The Romans believed that the odor of rosemary preserved dead bodies, and the green color of the leaves symbolized eternity. Rosemary was placed in the hands of the dead. Violets (viola odorata) — The Romans used violets for the eyes or as a cure for hangovers. Both the Greeks and the Romans used Violets for all sorts of other things such as herbal remedies, wine (Vinum Violatum), to sweeten food and for festivals. The Romans liked the Vinum Violatum so much they spent more time cultivating violets than olives, much to the irritation of Horace (65-8 BC.). Violets, associated with resurrection, were secretly planted on Nero’s grave. The Greeks also used violets “to moderate anger, procure sleep and comfort and strengthen the heart.” Violet wine was a delicacy for ancient Romans. Violet leaves and flowers contain beta-carotene, vitamin C, salicylates, the flavonoid rutin, mucilage, and the flowers contain essential oil. 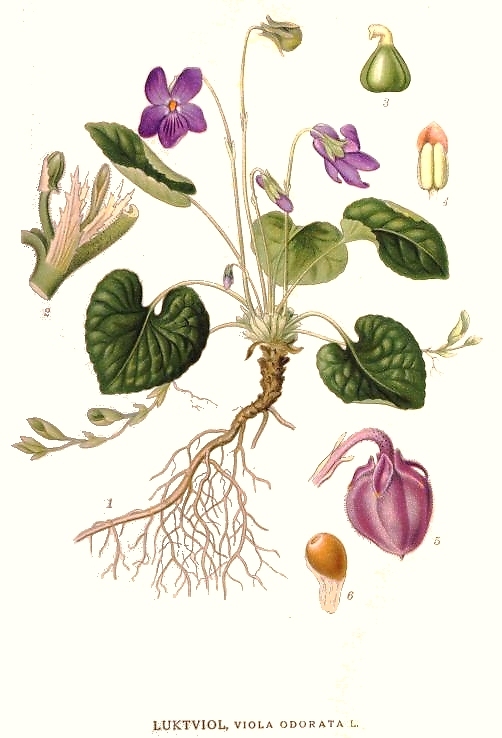 Violets are pungent, bitter, and sweet, cool and moist and correspond to Venus, and the element of water. Poppy (Papaver Rhoeas) — it’s calming effects have been widely known in most if not all civilisations and cultures since primordial times. 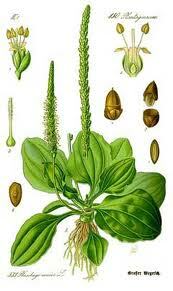 Basil (ocimum basilicum) — was introduced into Europe by the Romans. Amongst the various stories it is said to have been found growing on the spot of Christ’s crucifixion by the Empress Elena (mother of Emperor Constantine) and from hence exported across the empire. Chestnut (castanea sativa) — Pliny tells us it was eaten roasted/toasted by the priests of Cibele as they were forbidden from eating cereals. It is also mentioned by the poet Homer and by Galen, Martial and Virgil. 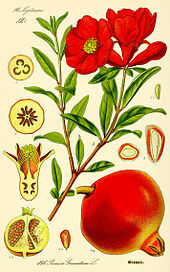 Pomegranate (punica granatum) — Entered Roman life around the time of the Punic wars. It’s roots were cooked and used as a cure for worms. The skin was used for intestinal problems. It’s copious seeds made the fruit to be associated with Venus/Aphrodite and according to the Greeks it’s juice was meant to be the blood of Dionysus. Cabbage (brassica oleracea) — Pliny goes as far as saying the Romans used cabbage as the only medicine for a number of centuries. Catullus defended it and its virtues in the senate against other foodstuffs and herbs being imported from the orient. The poor ate all parts of it whilst the rich had a preference for the young shoots only. Recent cancer research sugests that indeed it is an effective cancer defence and should be eaten twice a week if possible! 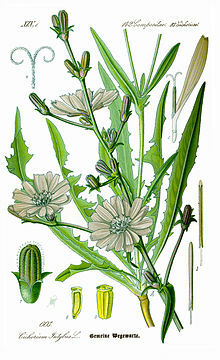 Chicory (cichorium intybus) — Dioscorides used it for stomach problems and digestion. Galen suggested it was good for liver problems. Pliny found it refreshing. 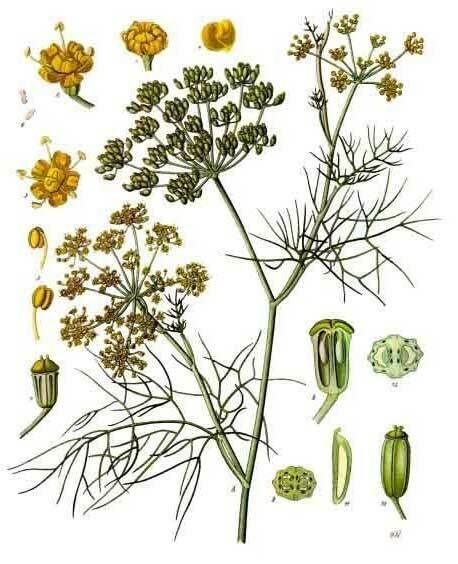 Fennel (foeniculum vulgare) — Pliny advocates it for problems with the eyes and sight. Something weird about noticing how moulting snakes would rub their eyes against it. 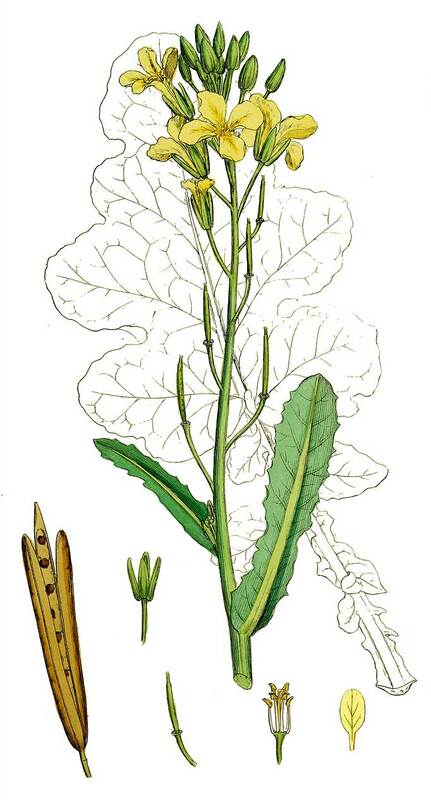 Lettuce (lactuca scariola) has been known to be rich in sap — hence the name lactuca which means “rich in milk". It was used against rheumatisms and colds. It was very appreciated during meals and in the republican period was often eaten at the end of the meal. In later times it made its way to the beginning of the meal as an appetizer. The sap would be collected and dried for use. 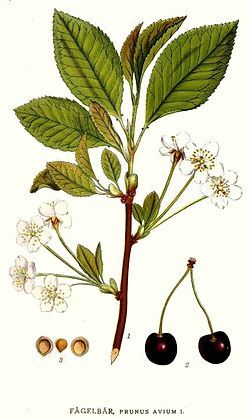 Cherry (prunus avium) — Galen advocated its use for the intestine and against gall stones. The kernel was found useful for arthritic pain, acne and verucas. 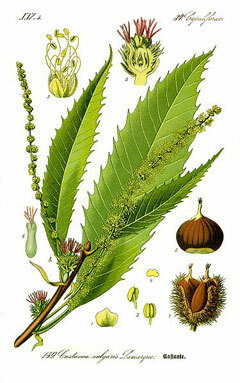 The resin/gum, collected in summer, would be mixed with wine against cough and to aid appetite. Rice (oryza sativa) — Rice was imported from India and hence was not very common, in fact at first it was very rare but certainly not unknown. 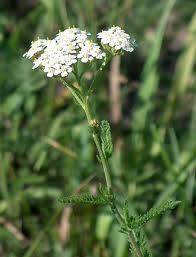 Aniseed or Anise (pimpinella anisum) — it was used by the Romans as a popular ingredient in cakes. Pliny recommended its use in wine as a remedy against the bite of scorpions. 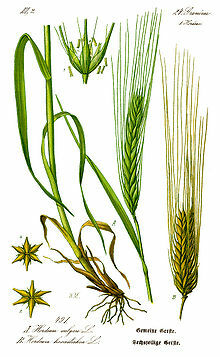 Barley (hordeum vulgare) — was very common but eventually overtaken by wheat as the most common cereal in ancient Rome. The Romans took barley with them across Europe and the Middle East, establishing it everywhere they went as a staple food, an ingredient for brewing beer and a medicine. One of its most popular medicinal uses was as an anti-inflammatory, a property for which barley still has a sound reputation today, being widely recommended as a treatment for osteoarthritis, gastric ulcers and other inflammatory diseases. Barley is also known as an emollient used in cases of pancreas and biliar ailments and other digestive problems and in infections of the intestinal mucous membrane and urinary tract, and as a febrifugal used especially for fevers in children, who are also given it for minor infections, diarrhea and dry coughs. It is also traditionally renowned as a galactogogue and a promoter of hormonal balance in women, and its benefits to the hormonal system have been reinforced in modern times by research suggesting that it stimulates the release of prolactin and human growth hormone. Barley's reputation as a woman's herb has grown even further in recent years, since it has become increasingly used as an ingredient in breast enhancement formulations. Another therapeutic use of barley is to lower blood cholesterol and triglyceride levels and to regulate blood sugar levels. Studies suggest that these effects are caused by beta glucan, a type of fibre which barley contains, which is also claimed to be protective against the risk of bowel cancer. Barley also contains astounding amounts of proteins, vitamins and minerals, incuding potassium, calcium, magnesium, iron, copper, phosphorus, manganese, zinc, beta carotene, B1, B2, B6, C, folic acid, and pantothenic acid, making it one of the most nourishing foodstuffs known to man. It also contains high levels of chlorophyll, a substance said to inhibit cancer, and several antioxidants, thought to help prevent many degenerative diseases, such as cancer, heart disease, stroke and premature ageing. 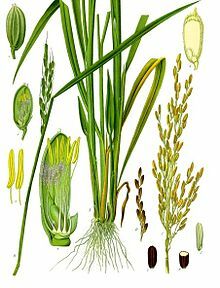 Made into a poultice and applied externally, barley has demulcent properties which make it helpful in soothing and reducing inflammation in sores and swellings. 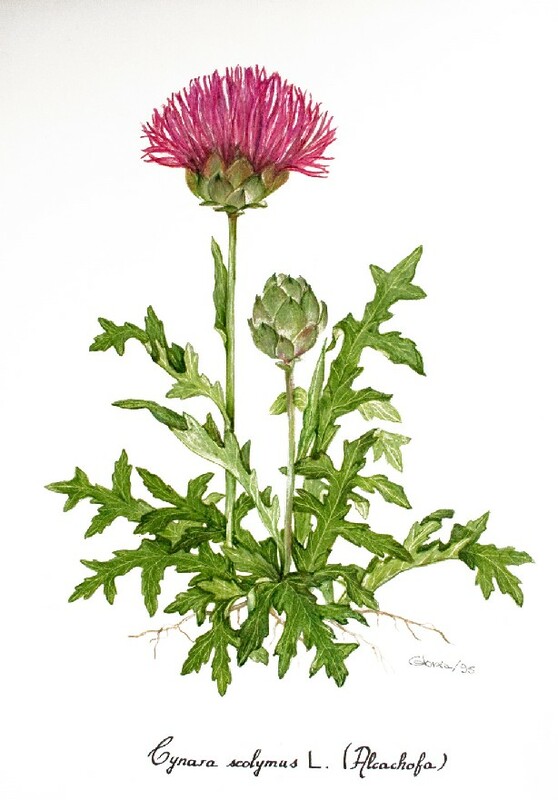 A hot poultice eases stiff and painful joints and draws the poison from boils, abscesses, stings, bites and infected cuts. A cold poultice relieves swellings and helps with weeping eczema and other itchy skin conditions. Citrus fruits such as Oranges and Lemons were little known if at all although opinions differ. For example there are frescos on walls in Pompeii depicting fruits that look rather like oranges. They would have in any case been seen as an exotic fruit rather than being in common use. Asparagus (asparagus officinalis) — Pliny tells us of how much he personally liked them and ate them very regularly. Cato gives a detailed description of how to grow them. Mallow (malva silvestris) — the very name suggests the plant’s emollient qualities and hence its use in Roman times against inflamations of the skin. They also regarded it as a delicious food to eat. 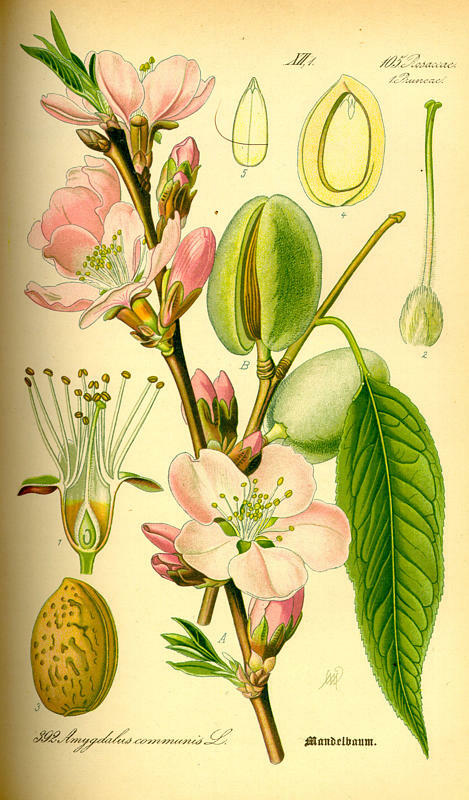 Almonds (prunus amygdalus) — the plant was regarded as an aid against the effects of alcohol. It was thought that eating bitter almonds before drinking wine would protect the drinker from the effects of the drink. 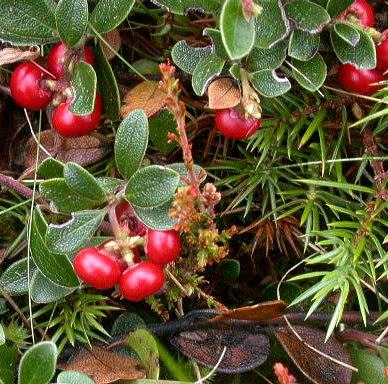 Winter savory (satureja montana) — regarded as an aphrodisiac as the name possibly stemming from the word for Satir suggests. It was liked as a spice in meat.